Here’s another photo from my personal portfolio. It’s a photo I took on a trip to Norway last June and I even wrote about the story behind the photo over on my blog in case you want to read it (it’s an interesting story to see how I got this photo). Anyway, I thought this one would make a good Lightroom only editing example so let’s have at it. Here’s the Before image. I tried the Auto button on this one and wasn’t crazy about it so I reset and just increased the Exposure to start with. Then I did the Alt/Option trick to set the Whites and Blacks. I pulled back a little on the Highlights and opened the Shadows just a little as well. The photo is WAY too cool as well. This was right around sunrise and everything had a warm feel to it so I wanted to warm it. Rather than just dragging the Temp/Tint sliders, I took the White Balance Eyedropper and clicked on something that I knew was a gray-ish color. I know the techies out there say that a good white balance point needs to be 18% gray bla bla bla. For me, I find that clicking on something that should be gray-ish works great most of the time. I also added some Clarity and Saturation to the photo. Not much though. Once again, there’s no noticeable noise in the photo so I left the Noise sliders alone. I did add some detail though. Like always, I increased the Amount, Radius, and Detail sliders. There’s a ton of tiny details here so the photo can definitely hold a lot of sharpening. And there’s no need for the Masking slider because, to me at least, the whole photo should be sharpened and there’s no reason to hide the sharpening from anywhere. There’s a few places to retouch here. I actually did this in Photoshop the first time I processed the photo, but Lightroom works just fine for it too. While I like the yellow boat, I removed the red buoy that’s attached. I also zoomed in and just cleaned up the water. There’s a ton of little spots and junk in there, so I painted over them to make the reflection more pristine. Next, I cleaned up the area in the trees. There’s some stray branches and even holes in the trees that show the sky behind it. That’s actually a big area of retouching landscapes for me. Any time you see holes in the trees where it just shows white in the background from the sky, I try to get rid of those. They’re distracting, especially if they’re along the edges. Lastly, and I almost hate to do this because it’s so picky, but I clean up the skylight windows on the houses. I don’t know why – but I just kept looking at them and they’re not a flattering part of the house so I got rid of ’em 🙂 Oh and by the way, Lightroom never chose a good sample point to clone from so I usually had to move it after I painted on the skylight. I finished off with a vignette, but not from the Effects panel. I really wanted to spotlight the houses so I dragged an oval-like shape around them. I even softened the edges a little with the Feather setting at the bottom. This one worked perfectly in Lightroom. It’s almost a classic example of a photo that doesn’t need anything more. That said, if I had onOne Software’s Perfect Effects (the Dynamic Contrast filter), I would have used it here. With so many little details, it would have probably worked nicely. Not that it would be a night/day difference, but it’s subtle effect that I happen to like to finish things off with. Other than that, Lightroom rocked here. I started with v1 of LR and started using DXO and Capture One. Found them to be better in the earlier version. Swithed back to Lightroom CC last year. Quite happy with the new lightroom. It´s so cool to see that you got so many great shots from your trip to Norway. This is a really nice shot, and I love the tips you give us in here. I am learning more and more in LR ever since your seminar here in Oslo. Looking forward to your future videos. I would like to start your article from Day 1 Lightroom Only. Where do I find the beginning? Thanks for taking the time to post yet another great tutorial in your Lightroom-only month. 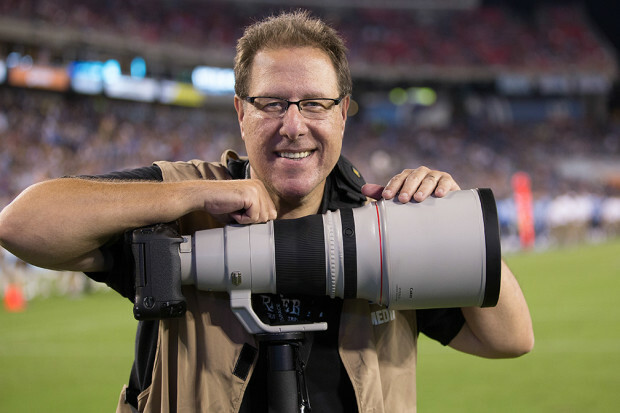 I’m learned so much from your ongoing column as well as my recent KelbyOne membership. Do you think you could include an image with heavy noise as one of your examples? Maybe something shot indoors, hand-held in low light. I understand that you’re usually using a tripod while shooting landscapes so I know it’s not normally an issue for you, but I’d like to see how to better deal with extremely noisy photos. I’ve had a lot of issues with heavy noise at high ISO, shooting indoor basketball with my new Canon 70D. I’m attributing it to the sensor but would like to see if I can improve my results until the day I can spring for a 5D Mark III or 1D. Also, for landscape photography, are there particular filters that you keep on your lens at all times – a UV haze filter or polarizing filter? I’d appreciate any recommendations you can make. Thanks again. I really appreciate this series. I am a hobbyist and only have Lightroom (although I have just purchased OnOne’s Photo Suite but don’t know how to use it yet) so it is great to get good instructions on just how much can be done with Lightroom. If you have suggestions for the best way to learn OnOne’s Photo Suite, would love to hear that too! This is so great! On the last day of the month would you kindly post the before, the Lightroom and the PS versions of each day so that we can all compare what you did and what you missed by not using lightroom. Just to spoil us, can you add a note or two what PS would have done? Hi Matt. Another nice tutorial. I know it’s all personal preference, but I didn’t mind the skylights. The white streaks on the roofs actually bothered me more. It looks like a newer piece of flashing was put on and it washed some type of chemical down the roof. I thought you might have tried either cloning them out or burning them a bit with the adjustment brush. You mention using onOne Perfect Effects on several occasions. I have Perfect Effects 4 and think it is really useful. I notice that Perfect Effects 8 is now available. Is there a worthwhile improvement with PE8? I don’t want to lose any of the filters that PE4 has and I am undecided about moving to PE8 because of that possible loss. Do I have anything to worry about with the update? Can you briefly compare the two? I absolutely love that you are doing this “lightroom only” test. I only use lightroom so I learn so much from these posts. I have also just joined KelbyOne and have been watching the videos. Don’t tell Scott but I bought his book for lightroom 5 and haven’t even read it since it is much easier to watch your videos! I suppose he wouldn’t really care as long as I bought the book though would he. Thanks a lot for all of the info. and have a great weekend. Another really great photo and post processing. Apart from the spot-healing brush I do just about everything in LR. Have you noticed that the Spot Healing Brush works better if it is done BEFORE the lens correction is applied?? I don’t know if it is because its all non-destructive, therefore mathematical, but applying lens-correction to a wide-angle image makes the brush really clunky, slow and select the oddest places; it can also make my PC grind to a standstill, so these days I do all the prepping and leave the lens corrections off until I’m ready to crop. My Mac doesn’t have the same problems, though. I suspect the D800 file sizes would put my PC into hospital!